I went for a wander around our local market this morning and I just love the view I have on the way there, I am so lucky to live in such a beautiful rural area. It may be a 16 mile round trip to the nearest town but I wouldn't want to live anywhere else, I just don't think that I could live in a town. 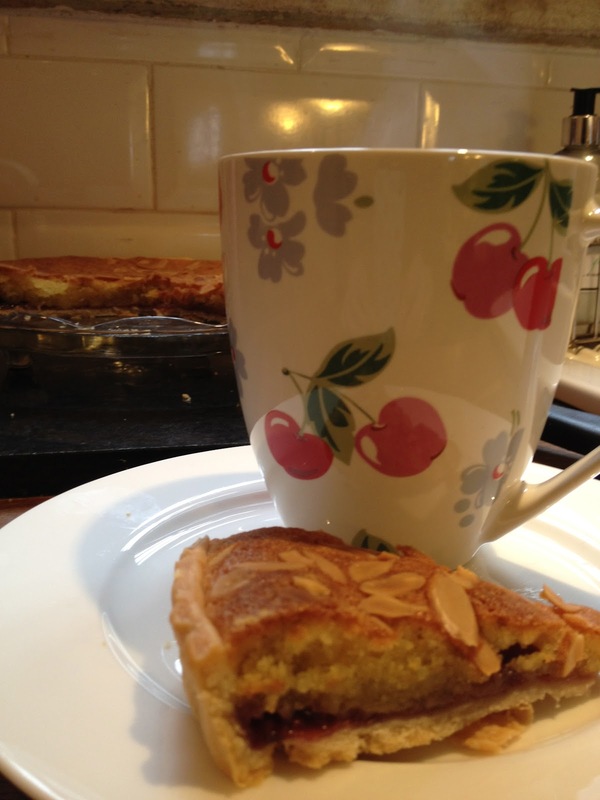 On returning I decided to have yet another piece of yesterdays baking, yes the Almond Tart! and lovely it was. I am already planning my next project when the hexagon throw is finished, and I thought that I would try another of Attic24's blankets. I have received my Style Craft yarn and it will be the first time that I have tried to crochet in acrylic yarn but her stripy granny blanket looks so so gorgeous. 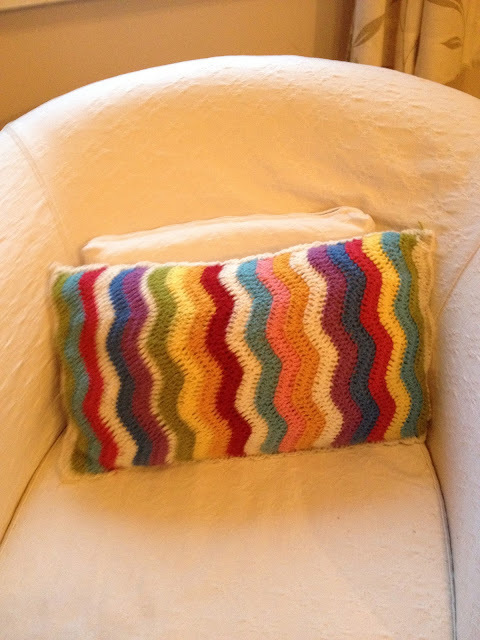 I have just completed a small ripple cushion, I wasn't sure what to do about backing it, but found the solution with a plain cushion I found in the sales and I stitched it onto the front. I think that the results are pretty good! I am also part way through a tapestry cushion cover I found the pattern in a Cath Kidston book that I had last year I am nearly finished but have found that with only a few stitches left to do I have run out of wool and will have to order another skein to finish! 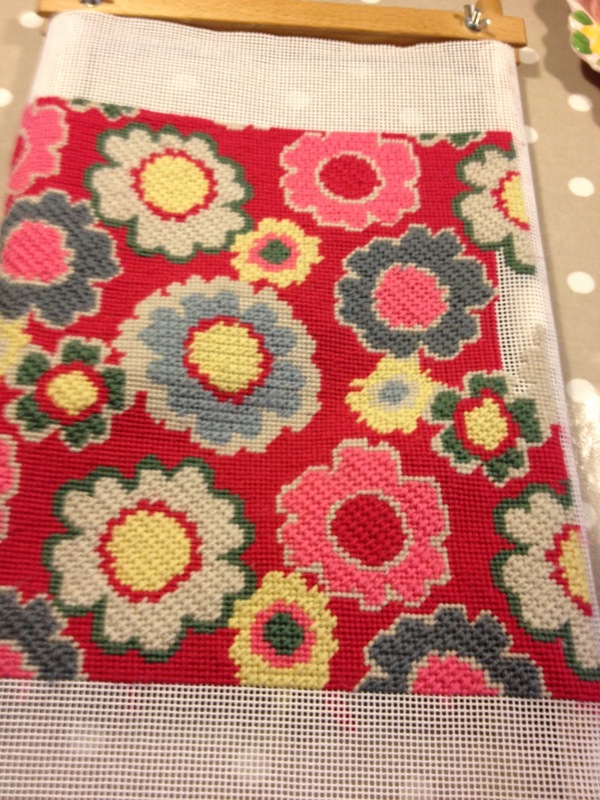 I love Cath Kidston and really enjoy doing her tapestry, I did this cushion last year and I think it looks just stunning!! 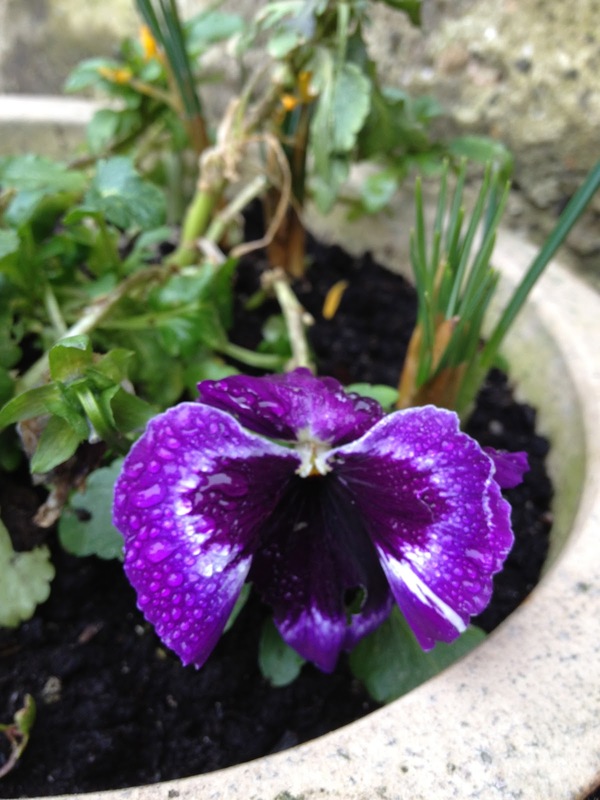 As you can probably tell I do tend to flit from one project to another, I am always thinking what to do next even before I have finished what I am doing. Lovely visiting your sweet blog, lots to oooh and ahhh at...LOVE the needlepoint CK cushions, I would love to try something like that one day. Gorgeous countryside too, I adore the Peaks although I only know a small bit of it well around Edale/Hope/Castleton where J and I used to walk a lot.